Mundan Ceremony Chudakarana Ceremony - Just 4 Kids - Book Today! 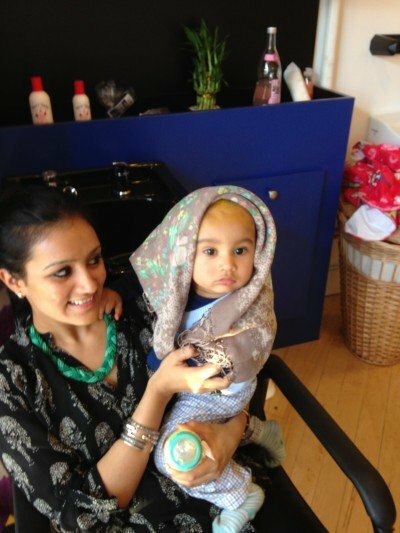 Just 4 Kids Salon is a great place for Hindu Families to celebrate their child’s Mundan Ceremony Chudakarana Ceremony! 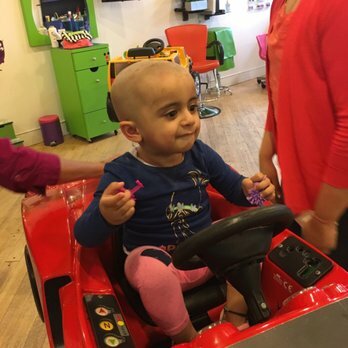 In the Hindu faith, a child’s first haircut is considered very sacred, and the hair is shaved and kept as an offering to the Gods. 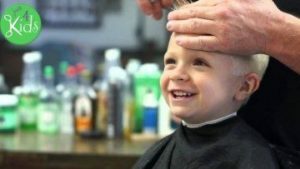 As such, your child’s first haircut is a priceless, once-in-a-lifetime event! 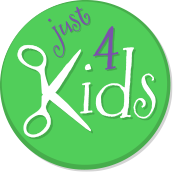 Just 4 Kids Salon’s First Haircut Package is a celebration that your entire family is invited to partake in. We promise to deliver a wonderful experience and a “baby-book worthy” keepsake to cherish forever! Our experienced staff are specially trained to complete the Mundan Ceremony Chudakarana Ceremony. Further, each service comes complete with a certificate, lock of hair, toy and an organic lollipop! We also save all other hair clipped and store it in a plastic bag for your convenience. The Chudakarana (Sanskrit: चूड़ाकरण, lit, arrangement of the hair tuft) or the Mundan (Sanskrit: मुण्डन, lit. tonsure), is the eighth of the sixteen Hindu saṃskāras (sacraments), in which a child receives their first haircut. Next, according to the Grhya Sutras, this samskara should take place at the end of first year or before the expiry of the third year, but the later authorities extend the age to the seventh year. The child’s hair is shorn, frequently leaving only the śikhā or cūḍā, a tuft at the crown of the head. Originally, the arrangement of the śikhā was the most significant feature of the Chudakarana or Mundan. Also, the number of tufts was determined by the number of the pravaras belonging to the gotra of the child. Later, in northern India, keeping only one tuft became universal. But in the Deccan and southern India, earlier traditions remained alive to some extent. In tradition, the hair from birth is associated with undesirable traits from past lives. Thus at the time of the mundan, the child is freshly shaven to signify freedom from the past and moving into the future. Finally, the rite is performed as a special ceremony in most homes or salons, for young girls and boys. *Walk-ins are NOT recommended on Saturdays and Sundays. 1.) Sensitive Children Need Special Treatment – Listen up Parents! If you think your child might be a candidate for excessive squirming or crying, feel free to stop by just to take a “dry-run” tour of our salon, and slowly get your child comfortable with our facility and our staff. 2.) Book an Appointment During the Week – Our salon tends to be less busy first thing in the morning on weekdays. Weekdays are an ideal time for the appointment – There will be less distractions for your child! Further, it will help to optimize their comfort level. Also! Thursdays and Fridays typically work even better than Wednesdays for scheduling. 3.) Space it Out if Necessary – Very Important! Just 4 Kids is happy to accommodate your child’s preferences and can space out the haircut into two or three sittings over a week if required. Finally, call Today to Book a First Haircut Mundan Ceremony Chudakarana Ceremony Package at Just 4 Kids Salon! Click the “Book an Appointment” tab above, or call (201) 653-KUTS (5887). Finally – Check out some client testimonials about our First Haircut Mundan Ceremony Chudakarana Ceremony Package! I had an awesome experience getting my daughters mundan done at Just 4 Kids Salon. This place was an hours drive from home and I was skeptical if I had taken the right decision. My experience at Just 4 Kids Salon was so wonderful and it was totally worth driving an hour. They kept my daughter busy throughout the haircut, and distracted her with bubbles and toys if when she got irritated. Next, they used a trimmer and even finished my daughters’ head with straight razor as I asked! This is a Five Star Salon and would highly recommend to Indian parents who want to do mundan ceremony. This is the only place we found in NJ for my son’s first complete hair cut (aka mundan). – My son loves the car and they had perfect setup with car seat. He enjoyed his first cut and he did not even cry once! I can not believe that! Also, the lady who cuts his hair was very nice, singing and he enjoyed every moment there! – Finally – I am far away from this place! However I would not hesitate to take my son again there just to have some fun along with his hair cut. Shall I start from the beginning? I loved how flexible they were about appointment timing! Especially considering we had to reschedule last minute because the baby decided to nap. Once we finally made it, we were very warmly welcomed and taken care of immediately. The salon was so fun and colorful, my son thoroughly enjoyed the visuals which helped keep him distracted during his haircut, as well. The lady cutting his hair was so calm and knew just how to work around babies who are fussing around. And she gave him a great cut too! Coming back for all future cuts! Thanks for making our baby’s first haircut experience an amazing one!